Doctor Who's first producer, and the BBC's first female TV producer, Verity Lambert, has died aged 71. She was also the youngest person to take charge of a BBC television show when the sci-fi drama started in 1963. Lambert also produced dramas including Minder, Quatermass, Rumpole of the Bailey and Jonathan Creek, while her company made 1990s BBC soap Eldorado. 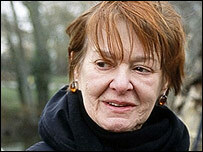 She was made an OBE in recognition of her services to film and television in January 2002. 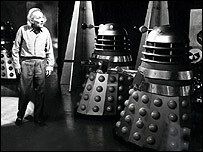 Lambert oversaw the first two series of Doctor Who before leaving in 1965. Russell T Davies, the current writer and executive producer of Doctor Who, said: "There are a hundred people in Cardiff working on Doctor Who and millions of viewers, in particular many children, who love the programme that Verity helped create." "This is her legacy and we will never forget that," he added. In 1985 Lambert formed her own independent television company, Cinema Verity, which went on to make the sitcom May to December and the short-lived soap Eldorado. Most recently she completed the second series of BBC One's Love Soup. Jane Tranter, controller of BBC Fiction said: "Verity was a total one-off. She was a magnificently, madly, inspirationally talented drama producer." Lambert had been due to receive a lifetime achievement award at the Women in Film and Television Awards next month. Her death on Thursday came the day before the 44th anniversary of the very first episode of Doctor Who.